Last year’s Summer Of Luv EP left me “wanting for more”, so I couldn’t be happier when this Leeds 5-piece’s third EP Pink Magic landed in my inbox. After another crazy summer of festivals including a slot on the BBC Introducing stage at Reading and Leeds Festivals and regular airplay on said station as well as Planet Rock Radio and Kerrang! radio (to name but a few), Fizzy Blood is a band you’re just gonna keep hearing more and more of. Recorded in Brighton with producer Alex Newport (Bloc Party, Tiger Cub, The Mars Volta), “It’s taken us a few years to figure out who we are as a band, as musicians and as people, and this is the happiest we’ve ever been with our music” says Paul Howells (guitarist) about their new release. 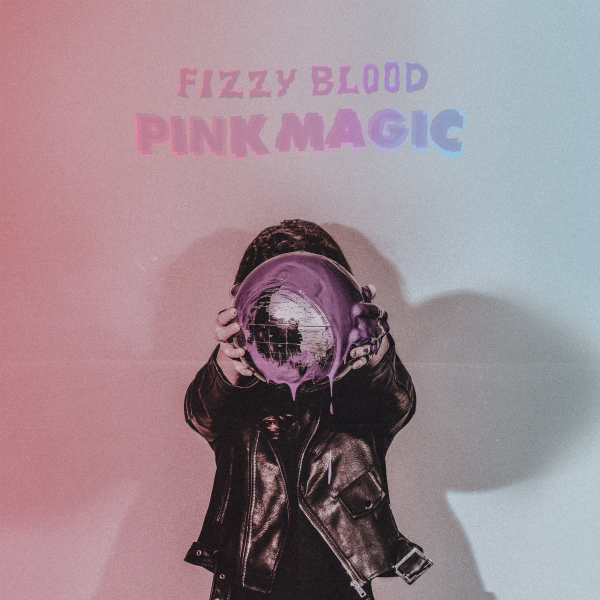 True to their word of not trying to conform to any particular genre of music, first track “Pink Magic” in contrary to its title, slams into gear with distortion and fuzz and an infectious little hook that runs throughout. Benji Inkley brings diversity with clean and poppy vocals giving rise to a contagious, dancey chorus that you can’t help but sing and jig along to. Darker and grungier guitars lead second track “CFO”, chugging riffs lead into an upbeat and rocky chorus that I see quickly becoming an anthem for the band. The EP takes a slight twist as atmospheric “Strangers” takes to the stage. A smooth, synth infused post-punk number which exposes Inkley’s genial vocals, slower paced it adds another string to Fizzy Bloods’ diverse, alt-rock bow. Closer “Illusions” ramps up the rock and funk again, fuzz and percussion laden it has a sassy 90s Britpop vibe but with a modish lick and Fizzy Blood stamp all of its own and it epitomises how far the band have come. Clearly comfortable in their sound they are not afraid to cross genres and scribble furiously outside the lines. This band are clearly on the rise, this is a fantastic EP showcasing their varied alt rock sound. Available this Friday, 14th September and with two headline dates to celebrate its release, you’d be mad to miss out!